Staying at the Best Western Hotel New York Nice on your honeymoon will allow you to enjoy a romantic welcome specially designed for you! On your request, we can surprise your partner by scattering rose petals on the bed, putting a bottle of Champagne, chocolates or even a love box! The rooms at the Best Western Hotel New York Nice are highly comfortable, with luxurious beds that create a warm and intimate atmosphere. Madam, to take care of yourself during your romantic stay in Nice, we have designed a special room "For ELLE". This spacious room, at the Best Western Hotel New York Nice, is equipped with a large desk that contains an integrated vanity, a powerful hair dryer and a quality hair straightener. From the balcony of your room, get a bird's eye view of Nice , a city in southern France that has seduced travellers of all times. Nice is a modern, chic and ultra romantic destination. In this city, which is situated in the south of France and contains more than 348 000 inhabitants, you can enjoy 300 days of sunshine per year. The Baie des Anges ... An appellation that makes you dream! A must-see romantic spot in the city of Nice that fully justifies its name. Treat yourself to a stroll along the Promenade des Anglais and / or a hike to the top of the Castle Hill and enjoy a panoramic view of the city and the sea. In Nice, the architecture of the buildings is unique and distinctive. For art lovers, 14 museums and galleries are to be discovered during your romantic stay in Nice! Enjoy an escapade in the cool narrow streets of the Old Nice, and taste some of the culinary specialties of Nice: the Socca or the pissaladière. The city is also packed with intimate and romantic restaurants to be discovered in private.Staying in the city center, at the Best Western Hotel New York Nice, will allow you to laze on the beach, discover the city and its traditions and thoroughly enjoy your romantic stay. Our modern and romantic hotel is the perfect choice for all lovers around the world. 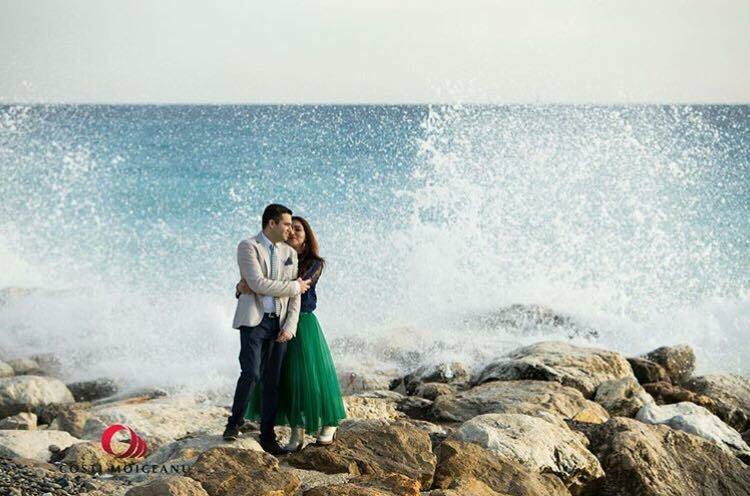 Your honeymoon in Nice must be an unforgettable experience and all our staff is extremely dedicated and well trained to make your romantic stay as pleasant as possible.Treat yourself to a honeymoon in Nice, a glamorous and authentic city. Discover the ideal plan for your romantic stay.